Heat oven to 350°F. Let cookie dough stand at room temperature 10 minutes to soften. 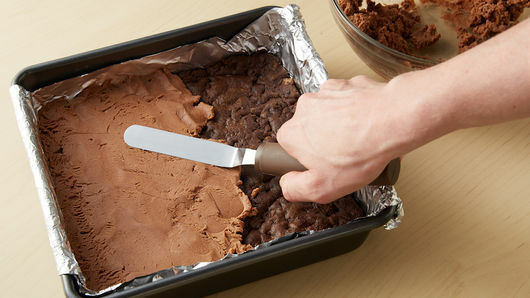 Line 8-inch square pan with foil, extending foil over edges. In medium bowl, mix cookie dough and cocoa until well blended (dough will be stiff). Press dough evenly in bottom of pan. In large bowl, stir pudding mix and 1/4 cup melted butter until well blended. Add powdered sugar, milk and vanilla; beat with electric mixer on medium speed until smooth and creamy. Spread filling evenly over cooled bar base. Set aside. 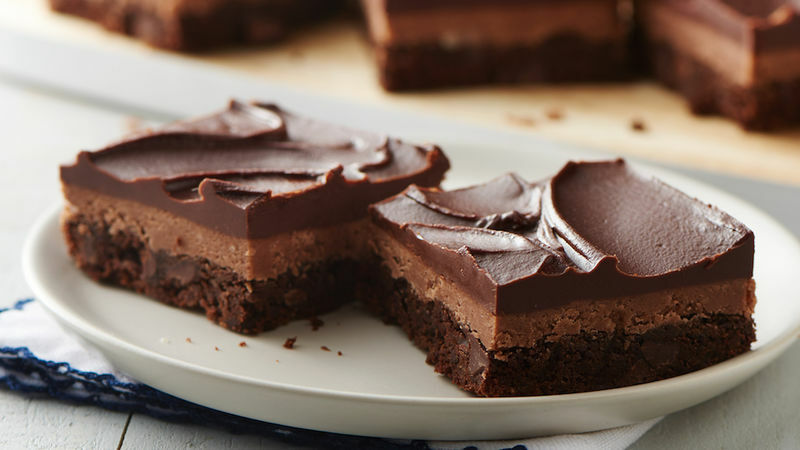 In small microwavable bowl, microwave chocolate chips and 1/4 cup butter uncovered on High 1 minute to 1 minute 30 seconds, stirring every 30 seconds, until melted and smooth. Spread evenly over filling. Refrigerate about 1 hour or until set. 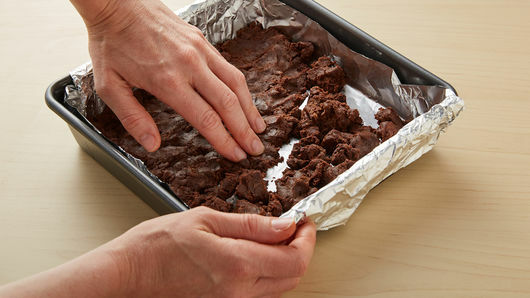 Use foil to lift from pan; pull foil edges away. For bars, cut into 4 rows by 4 rows. 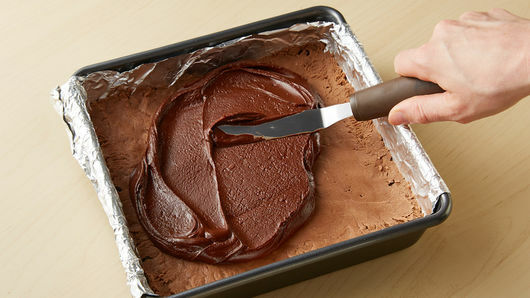 Foil-lining the pan makes removal and cutting of the bars easier. Store bars covered in refrigerator up to 1 week.